Bayer shares plunged as much as 14 per cent on Monday, losing about $ 14 billion in value, after newly acquired Monsanto was ordered to pay $ 289 million in damages in the first of possibly thousands of U.S. lawsuits over alleged links between a weedkiller and cancer. Monsanto, bought by Bayer this year for $ 63 billion, said that it would appeal against the jury’s verdict in California, which is the latest episode in a long-running debate over claims that exposure to Roundup can cause cancer. Having closed the Monsanto takeover, Bayer is only awaiting the approval of some final antitrust-related asset sales before folding it into its own organisation. It did not negotiate any payments from Monsanto shareholders for Roundup-related litigation. Bayer shares were on track to close at their lowest in almost five years. Berenberg analyst Alistair Campbell said resolving the issue could cost Bayer $ 5 billion, citing a rough estimate based on a past product liability settlements such as Merck & Co Inc’s $ 4.9 billion settlement over painkiller Vioxx or Bayer’s $ 4.2 billion total settlement over the Baycol cholesterol drug. The controversy could also affect future revenues. Genetically modified (GM) crops that withstand glyphosate are a main source of cash for Monsanto, mainly generated in North and South America, where the technology is widely accepted. The health worries could further darken the outlook for a product category following the emergence of weeds that have grown resistant to the herbicide. “We think the risk of withdrawal is extremely low, but if it materialised it would be a major blow to the transaction value paid for the company,” said Berenberg’s Campbell. The World Health Organization’s (WHO) cancer arm in 2015 classified glyphosate as “probably carcinogenic to humans”, but the U.S. Environmental Protection Agency in September 2017 concluded a decades-long assessment of glyphosate risks and found the chemical was not likely carcinogenic to humans. 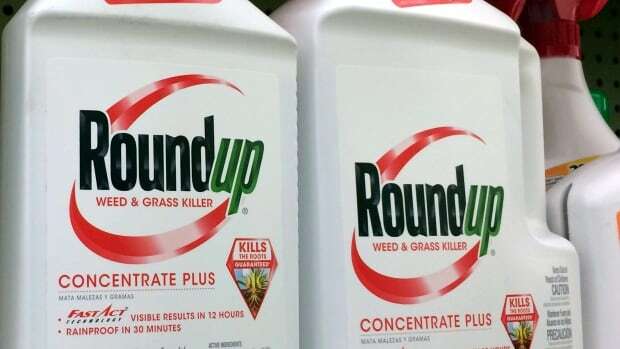 A Reuters report in October showed that the WHO’s cancer agency dismissed and edited findings from a draft of its review of glyphosate that were at odds with its final conclusion that the chemical probably causes cancer. In Europe, the EU Commission in December drew criticism for renewing the licence for glyphosate. Germany and France have meanwhile taken steps to phase out use of the weedkiller. Glyphosate-exposed stocks also plunged in Asia and particularly in Australia where a withering drought has already hit herbicide sales. Australian chemical maker Nufarm Ltd, which Macquarie Bank analysts estimate earns about a fifth of its revenue from glyphosate-based products, plunged almost 17 per cent to a more than two-year low. Its top shareholder, Japan’s Sumitomo Chemical Co Ltd , shed 3 per cent, while Australian rural services firm Elders Ltd, which retails herbicides, fell 11 per cent.